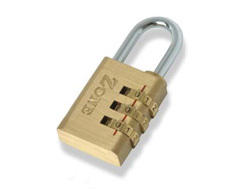 Brass combination padlocks are very popular but notoriously problematic. 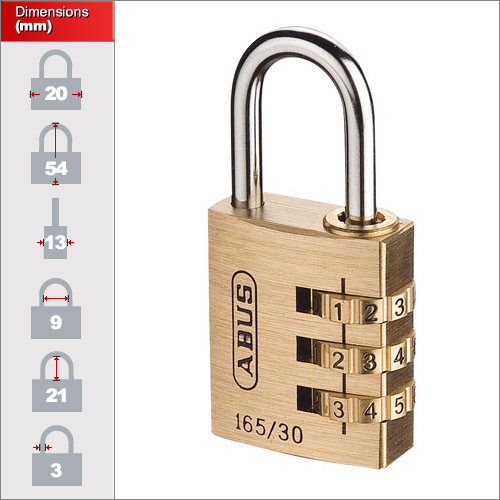 The ABUS brass padlocks are the only ones on the market we have tested to be 100% issue free and the only brand we will supply confidently to schools and gyms where picking can be a common problem. Since they are built from solid extruded brass bodies they are very strong and durable but this means the mechanism must be very intricate and precise to fit within the body. 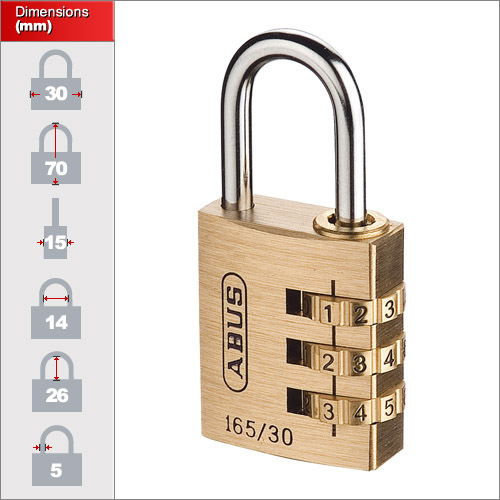 Every other type on the market has failed our strict tests and now we only supply the ABUS variety. 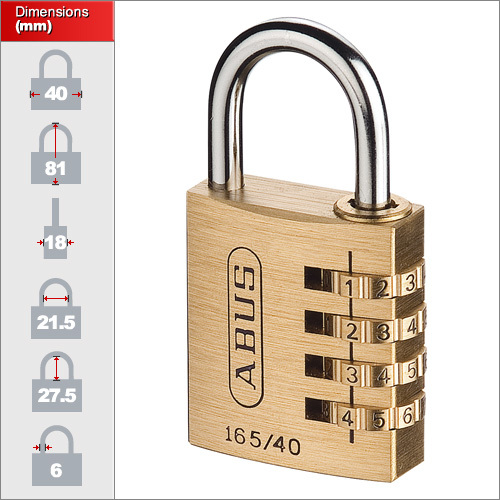 We have three sizes of this brass combination padlock. The 20mm version is ideal for travel, laptop bags and luggage. 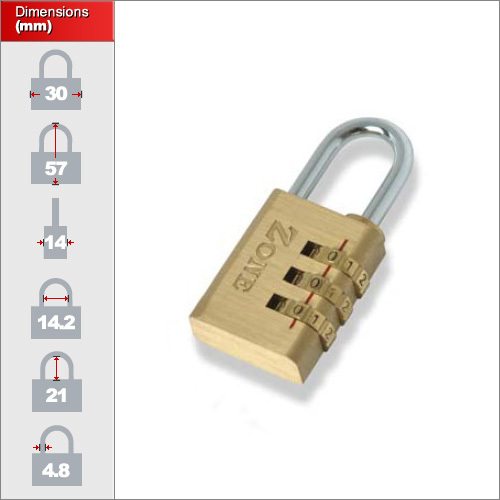 The 30mm is most commonly used for lockers and larger sports bags whilst the 40mm is a higher security model for various applications with 4 digits.